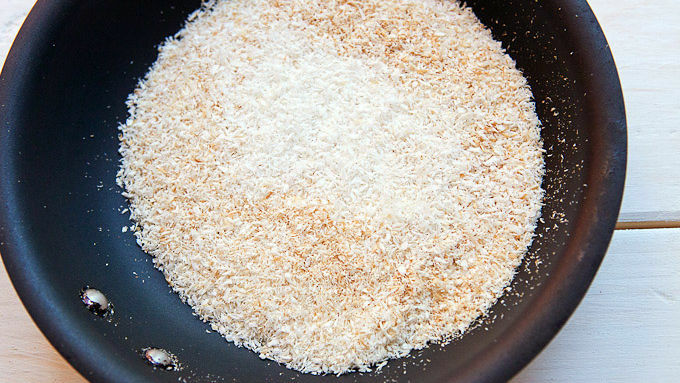 Toast shredded coconut in a small skillet over low heat until browned and fragrant. Let cool. 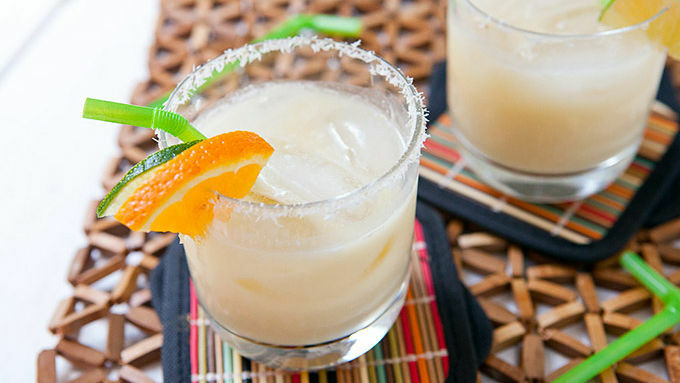 In a cocktail shaker, add tequila, triple sec, coconut water, coconut cream, orange juice, and honey. Shake well with ice. Rub a cut lime around the edge of your cocktail glass and dip the rim in the toasted coconut. Add fresh ice to the glass. Strain cocktail into prepared glass and garnish with fresh orange and lime sections. Serve immediately! You can absolutely make a large pitcher of this drink by multiplying the recipe by 4 or 6. If you do this, the drink may separate a bit if it sits for too long. Just give it a quick stir before serving if this happens. When mid-summer heat hits, it's time for this cool and creamy orange-coconut cocktail. Summer just got cooler. And sweeter. When I think of flavors that are instantly cooling, the first one that comes to mind is coconut. It can be so crisp and refreshing. I completely crave it on hot days! I sometimes also crave tequila. That ends the analysis on why this drink recipe, inspired by a How Sweet It Is version, is a perfect cocktail for me on a blazing hot summer day. The flavors are really interesting, and while you can get into trouble by adding orange juice to normal dairy (it can curdle), you won’t have that problem in this case, and the citrus/coconut combo is a great one. The good news for this drink is I’m pretty sure you can use any tequila. While I like really good tequila if I’m drinking it straight, there are so many other flavors in this drink that you don’t need to splurge on the top shelf stuff. Instead of a salted rim, which is the classic margarita garnish, I toasted some coconut shreds lightly in a dry pan over low heat until they were lightly browned and fragrant. This shouldn’t take more than a few minutes. Be sure to get the finer coconut shreds for this and not the larger shavings. Then just rub a cut lime around the edge of your cocktail glass and dip it in. The coconut should stick beautifully to the glass. When it comes to making the cocktail, there isn’t much to it. 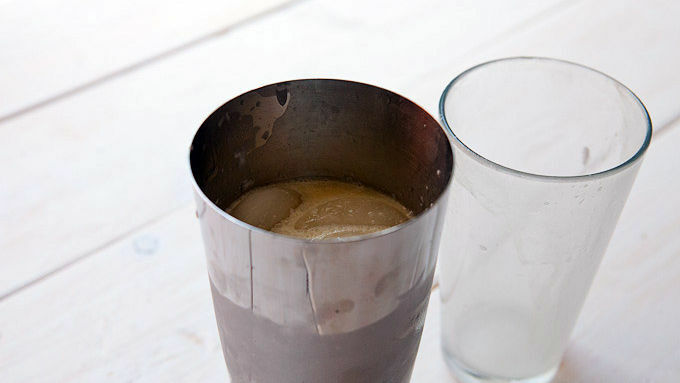 Just combine the ingredients in a shaker or large glass and shake them up with lots of ice! One note: I like to use coconut cream in mine, which ends up making for a richer finished margarita, but you can use coconut milk if you want. Just so the margaritas don’t get too watered down, I like to strain them into the glasses with fresh, cold ice and garnish them with fresh slices of orange and lime. How could you not want one of these?! You can absolutely make a large pitcher of these by multiplying the recipe. 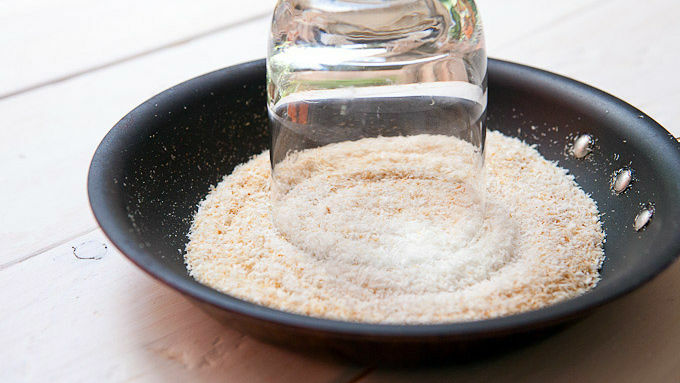 If you do that, the mixture might separate if it sits for a bit. Just give it a stir before serving!